The year has come to end and a New Year is beaming in front of us, flashing rays of hope that should be only taken as betterment to lead us into the future, to be a fruitful to anyone looking out for changes in life, in a prospect of sour security, skinny web of friends and family as enclosure to the lavishing lush and red pupil heart of love, turning the lives into meaningful, kindest and sweetest towards eternal. Let’s wish for a change or continue to sail as long it’s peaceful, successful, and useful to throw lives into organic, healthy and happy. Wish you all Happy New Year again! Happy New Year Jeevan. Hope you will be healthier and happier in the year 2019. I am in Bangkok now and would like to send you a postcard. I forgot to bring all the addresses and would appreciate that you email to me your mailing address again. Thank you and a Happy and Healthy New Year to you and your family too. I do wish you a Happy New Year. I appreciate our connection and our friendship through sharing of our lives. Lovely New Year's post and Happy New Year to you too! Thanks, Jeevan. Hope the year 2019 ushers, the blessings of health and good cheer for you and your family. 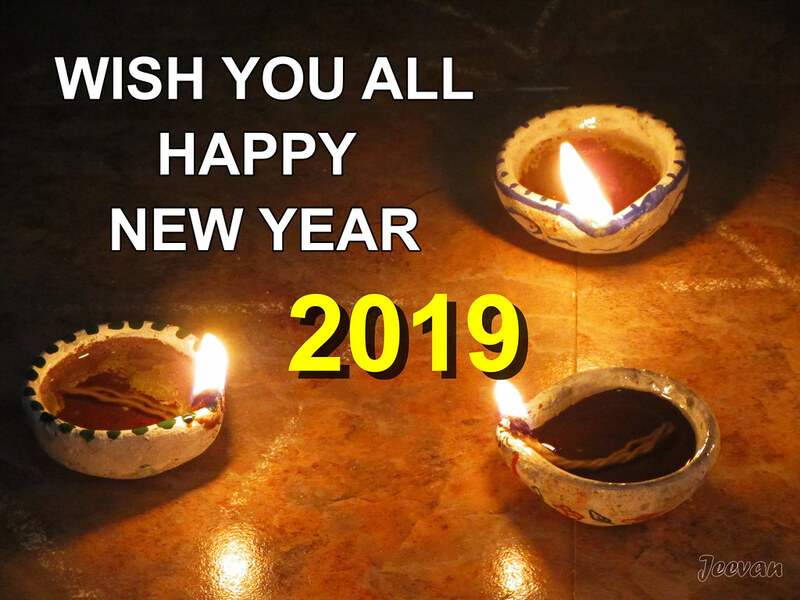 Wish you a Happy New Year in 2019 and beyond. Wishing you a wonderful New Year, Jeevan. I hope your year is filled with lots of love and lots of happiness!